For coastal denizens operating in the worlds of media, business and politics, he needs no introduction. But much of the country, poring over juicy excerpts from his tell-all book about the Trump presidency, may be learning about Michael Wolff for the first time. The book, "Fire and Fury: Inside the Trump White House," has consumed all of the oxygen of the current news cycle with its arresting details about the chaos and drama surrounding President Donald Trump. Due to hit shelves next week, "Fire and Fury" skyrocketed from 48,449 to number one on Amazon's best-selling books list on Wednesday, forcing publisher Henry Holt & Company to accelerate its rollout plan. It isn't Wolff's first page-turner on a high-profile subject. In 2008, he offered up "The Man Who Owns the News," a biography of the billionaire conservative media mogul Rupert Murdoch. But "Fire and Fury" is poised to become the most commercially successful book -- and perhaps one of the defining elements -- of Wolff's long and polarizing career. 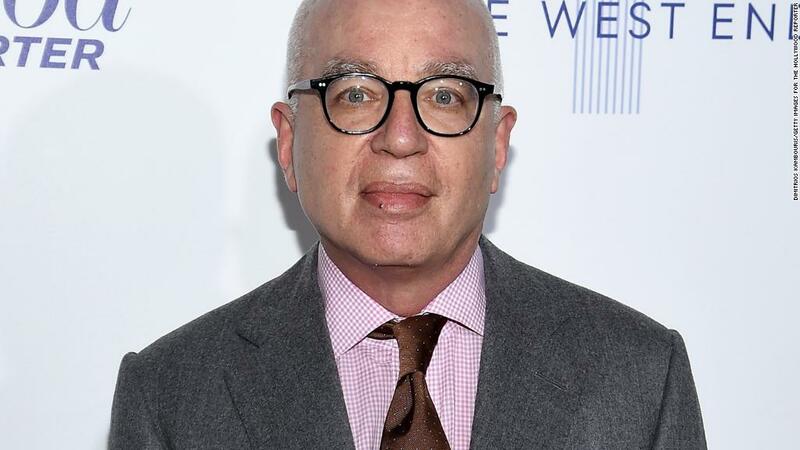 Wolff, 64, is a fixture of New York media and a regular of the cocktail party circuit. He has most recently been a columnist and media critic for USA Today and The Hollywood Reporter, and before that Vanity Fair. In 2010, Wolff took over as editor of Adweek but lasted about a year due to reported friction with ownership. He has also written for New York Magazine and The Guardian. Wolff's proximity to power has been one of the common threads throughout his professional life. In "The Man Who Owns the News," Wolff was said to have had "unprecedented access to Rupert Murdoch himself, and his associates and family." For "Fire and Fury," Wolff was a fly on the wall in the White House throughout the early, tumultuous months of the Trump presidency. The book, and its bombshell quotes from former Trump adviser Steve Bannon, has roiled the administration. Gabriel Sherman, a writer for Vanity Fair, said Thursday that it was "baffling" that Trump's team gave such access to Wolff, who conducted more than 200 interviews over the course of 18 months from his perch on a West Wing couch. "[A]ll they needed to do was call Murdoch and he would have said don't cooperate [because] Wolff had written nasty book on him," Sherman tweeted on Thursday. Wolff responded to Sherman saying, "I kept waiting for that call to be made." A 2013 television advertising campaign for USA Today struck a similar note. "Read Michael Wolff," the ad said, "and thank your lucky stars he's not writing about you." Wolff isn't universally celebrated, or beloved. In a critique of "Fire and Fury" on Wednesday, Splinter's David Uberti wrote that Wolff would likely land a top seed in a "March Madness-style bracket to find the most loathed man in media." For years, Wolff was a favorite punching bag of the now-shuttered website Gawker. Wolff attracts some of those insults with an abrasive personality. A cursory scan of his Twitter feed reveals pugnaciousness and arrogance; his columns are often laced with invective. He also seems to revel in the hatred. The dust jacket of Wolff's 2015 book "Television is the New Television" showcased the vitriol he's drawn over the years, not the critical acclaim. "Possibly the bitchiest media bigfoot writing today," read one of the blurbs. Wolff did not respond to CNN's request for comment. Wolff's reporting has drawn criticism, too. In a review of the Murdoch biography, the late New York Times media critic David Carr wrote that "one of the problems with Wolff's omniscience is that while he may know all, he gets some of it wrong." Carr noted a pair of errors in the book, including Wolff's assertion that the Times had nixed a series after Murdoch's News Corp had attacked the paper. Wolff's reporting is now being challenged by Trump, whose lawyer has sent a cease and desist letter to Wolff over purportedly "false/baseless statements" about the president. For some, like Poynter's media columnist Jim Warren, it's a match made in media heaven. "Donald Trump and Michael Wolff deserve one another," Warren wrote Thursday. "They're like conjoined twins tied at the ego."